Kabat stars in one of the final four episodes of the Emmy-nominated series, titled “Is the Force With Us?” (named in homage of the 40th anniversary of Star Wars). It focused on new research that asserts there are trillions of invisible connections in the universe which link both places and time. It originally aired on April 25 but can be viewed online here. 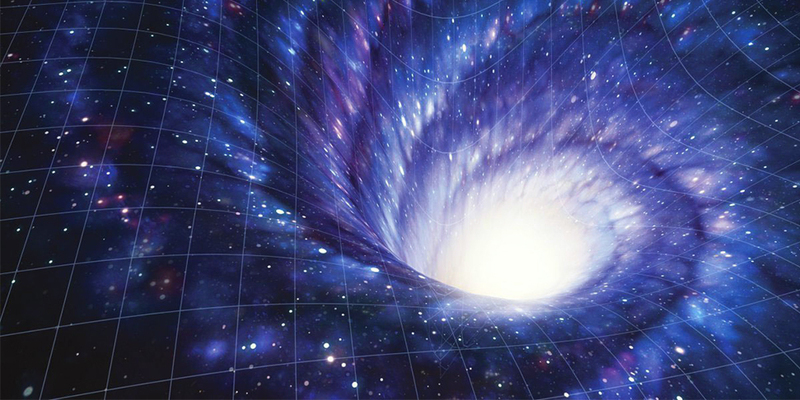 While he claims that math makes physics much simpler to grasp (“It's so much easier to explain science when you can write down a nice simple equation that captures exactly what’s going on!” he said), Kabat felt the writers and production team on Wormhole helped tremendously with images and analogies to explain wormholes. So for instance, in one scene the physicist is standing in his kitchen, only to disappear into a hole that opens in the floor. The next scene takes place seconds later and finds him emerging from another hole in a restaurant. Though it was achieved with camera tricks, it demonstrated the phenomena of wormholes, which are tunnel-life connections in space that make shorter distances possible between two distant areas.